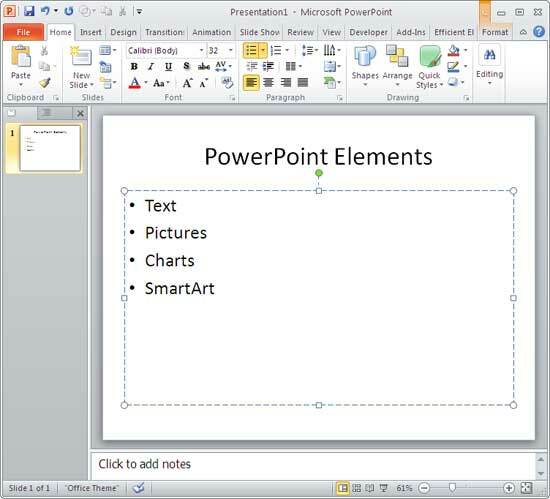 Excerpt/Capsule: Learn how to convert bulleted text to a SmartArt graphic in PowerPoint 2010. 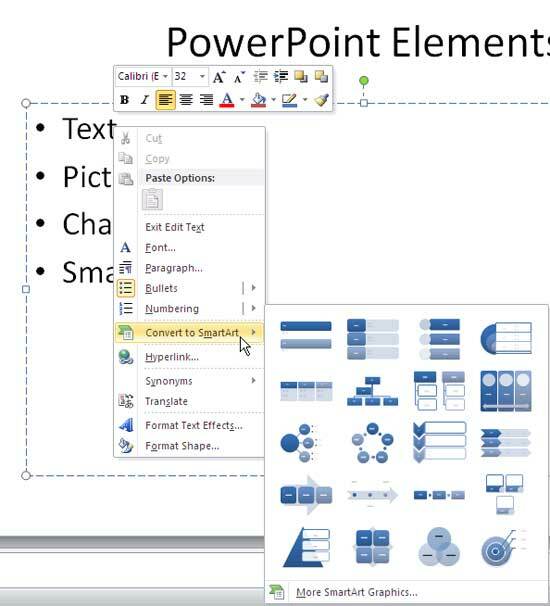 Select a bulleted text in a slide within PowerPoint 2010, as shown in Figure 1. With the bulleted text selected, carefully right-click to summon the context menu shown in Figure 2 and choose the Convert to SmartArt option. This will bring up the SmartArt gallery within a submenu (refer to Figure 2 again). Just hover over your cursor on the available SmartArt to see a live preview of the change happening. Click to choose the SmartArt graphic you want to apply. Alternatively, to get more SmartArt graphics, click the More Smart Art Graphics option located at the bottom of the SmartArt gallery (refer to Figure 2 above). 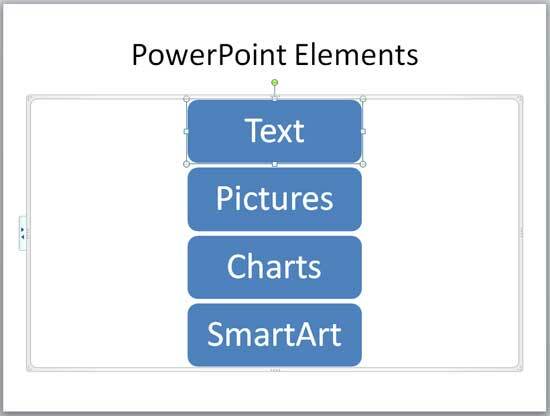 This summons the Choose a SmartArt Graphic dialog box that you can see in Figure 3. 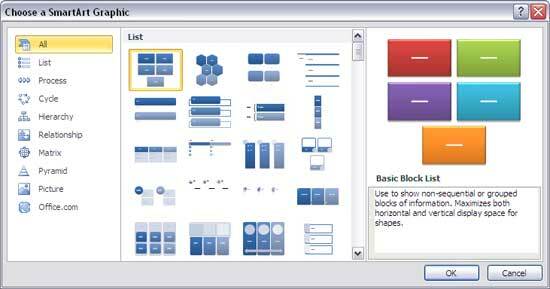 Select any of the SmartArt graphic variants you want to insert, and click OK. Figure 4 shows the same bulleted text (refer to Figure 1 above) converted to a Vertical Block List SmartArt graphic.